West Yellowstone is The Snowmobile Capital of the World. From a tour of Yellowstone to extreme backcountry powder, find your guides & rentals here. What a great time of year to visit Yellowstone National Park! Enjoy our beautiful winter landscape and view wildlife, from a heated snowcoach. There's no shortage of snow and ski trails around West Yellowstone to get out and do some nordic skiing. Consider a guided trip into Yellowstone! West Yellowstone is covered in a landscape of pure white as winter takes hold, and it’s the ideal location to take an adventurous snowshoe trip. When most folks think of winter in West Yellowstone, they think of snowmobiling. 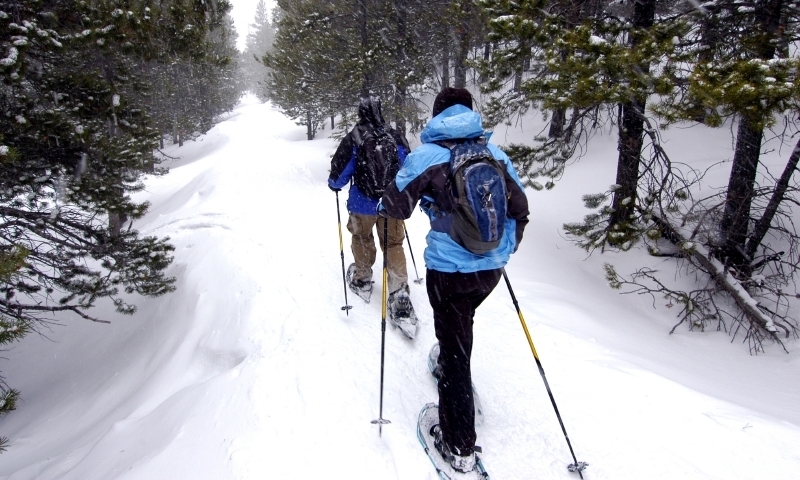 There are many other winter activities, like cross country skiing, resort skiing, or snow coach tours in Yellowstone, to enjoy as well. 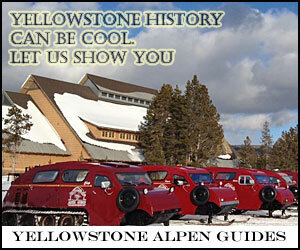 What a fun way to explore West Yellowstone. 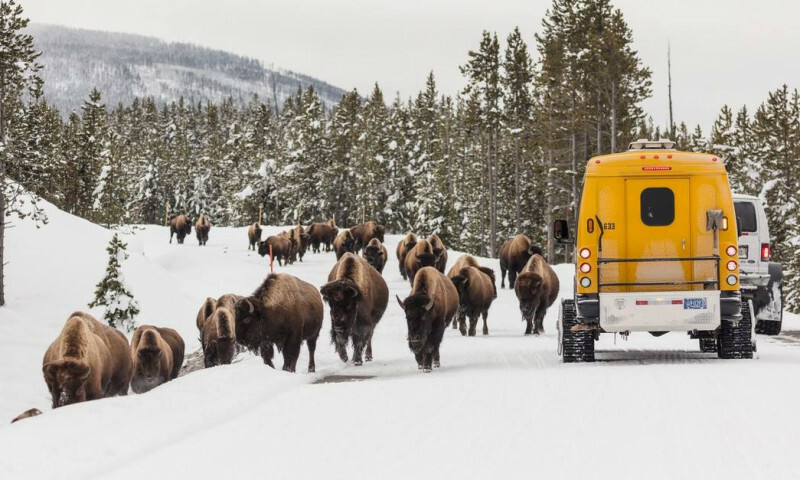 Those looking for a scenic ride should join a guided tour in Yellowstone National Park and stay on groomed trails while looking for wildlife. Those looking for speed and adventure should rent their own sled or join a guide and explore nearby National Forest areas. 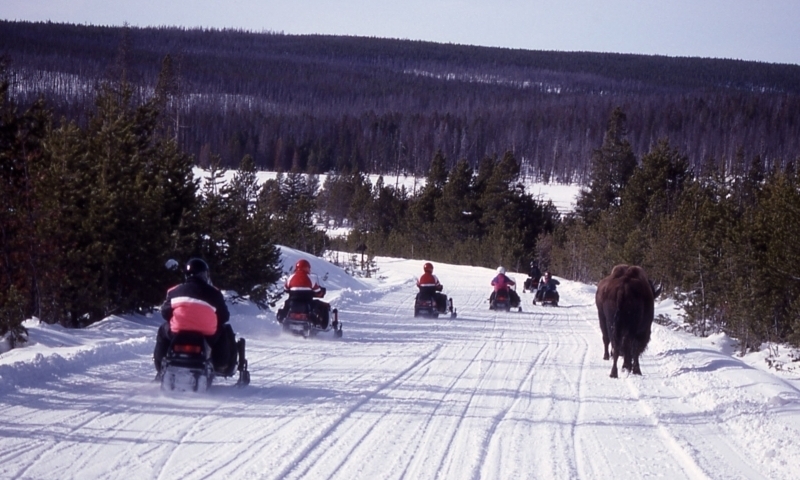 Its the best way to explore Yellowstone National Park in the winter. Reserve one of your days and hit the nearby slopes at Big Sky Resort (now encompassing Moonlight Basin). 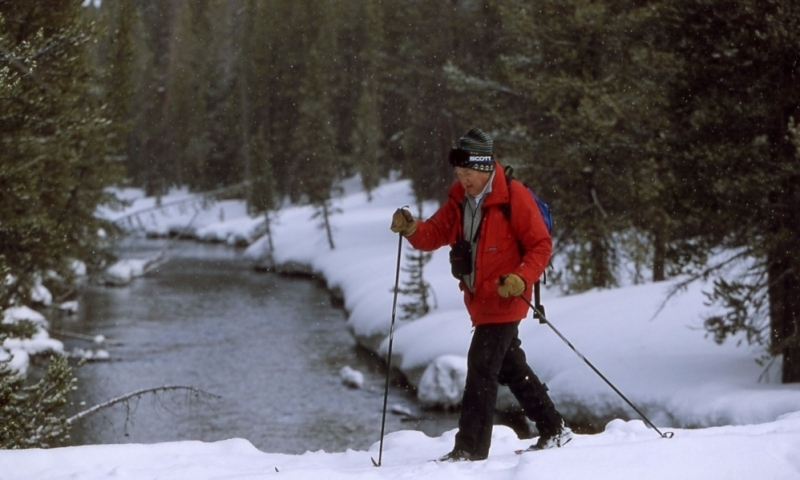 Cross country skiers will enjoy the Rendezvous Trails right in West Yellowstone. Other fun winter activities include Sleigh Rides, Dog Sledding, Snowshoeing, and even Ice Fishing. Save Yellowstone, located in West Yellowstone, encourages the enjoyment of Yellowstone National Park in the winter months via snow coach and cross country skiing, discouraging snowmobiling. The Southwest Montana Climbers Coalition is determined to maintain good relations between climbers and land management officials. It promotes safe and responsible climbing. Traditional Alpine Mountaineering offers an Informational site on past ice climbing experiences, good classes, and pictures. Ride the gondola at Big Sky and experience the views from Lone Peak.